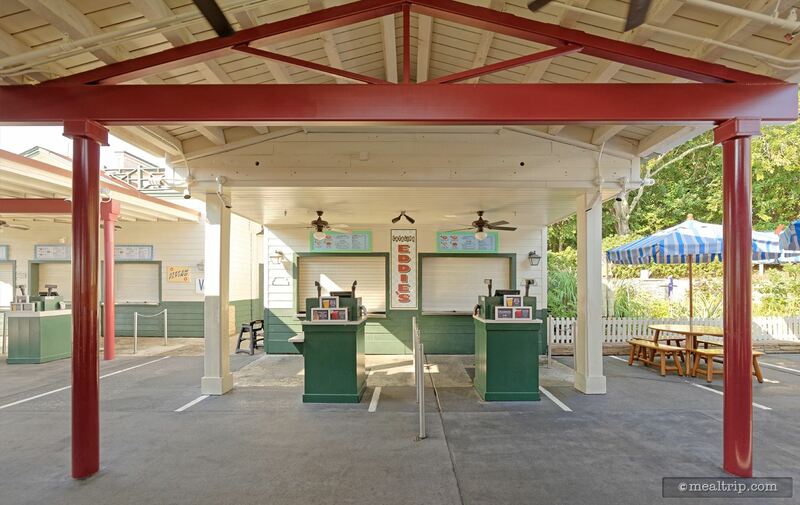 The Catalina Eddie's listing is a Counter Service (quick service) dining location at Hollywood Studios featuring Italian and American cuisine. There are 7 photos in the Mealtrip photo gallery for this location and dining period. The Catalina Eddie's listing currently has a score of 29 out of 100. Click here to read all of the reviews for this location, or log in to Mealtrip.com to add your own review for Catalina Eddie's. 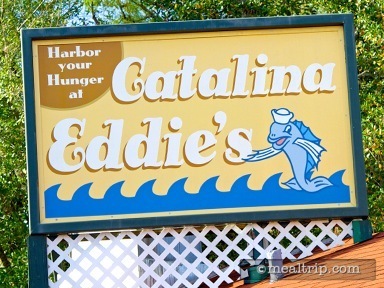 The sign above Catalina Eddie's. 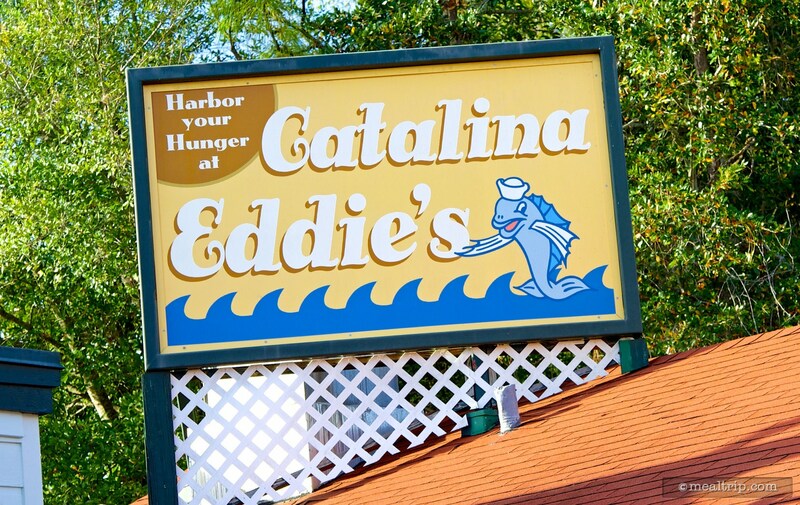 The Catalina Eddie's exterior. 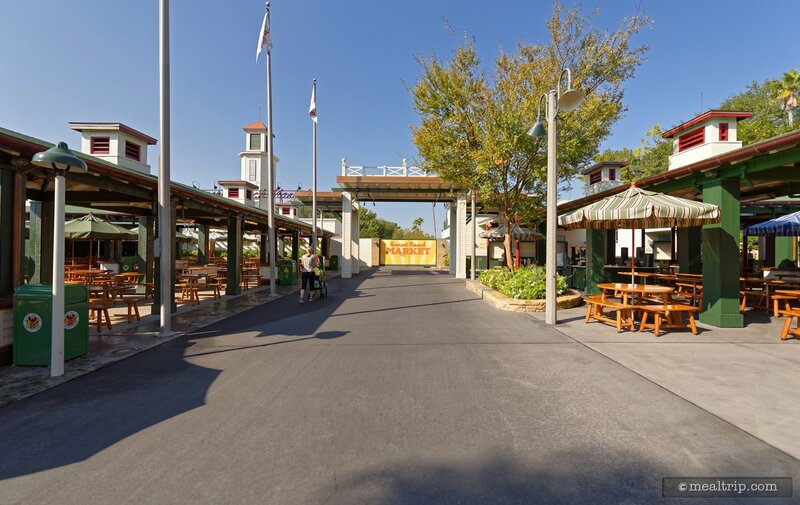 Rosie's All American Cafe is off to the left. 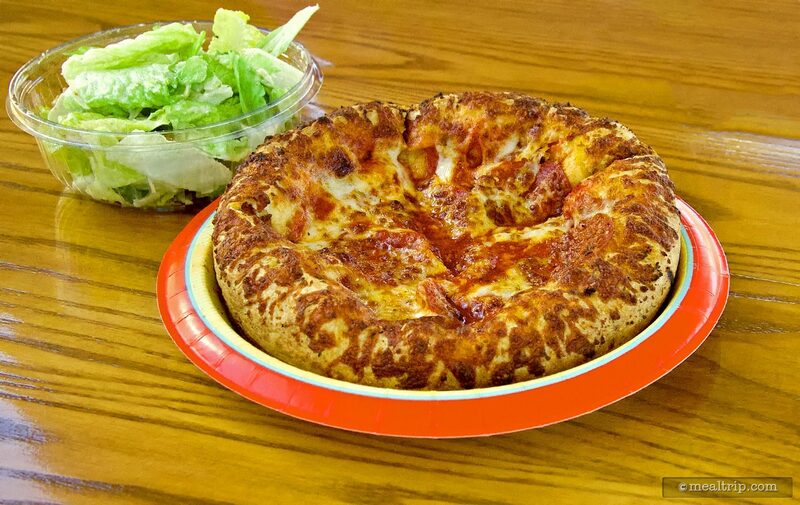 Catalina Eddie's Pepperoni Pizza with side Caesar Salad. 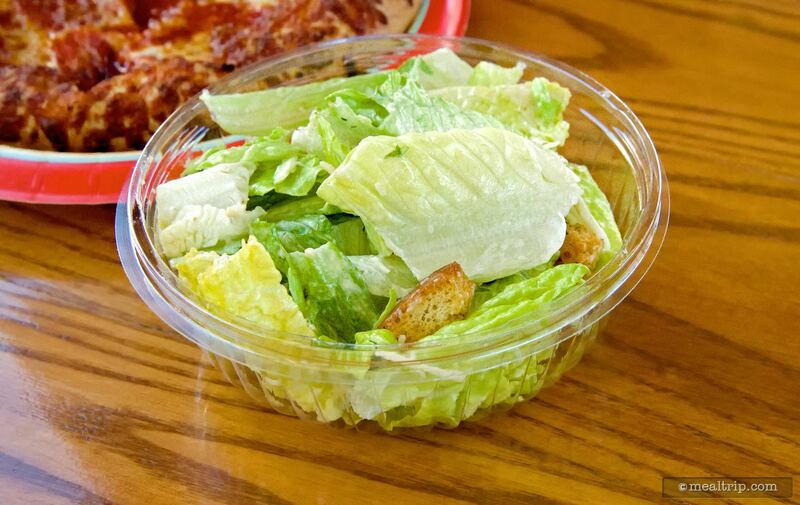 Catalina Eddie's side Caesar Salad. Walking up to Cataina Eddie's from Sunset Boulevard (Rosie's and Cataina Eddie's would be on the right if you walk down this path). 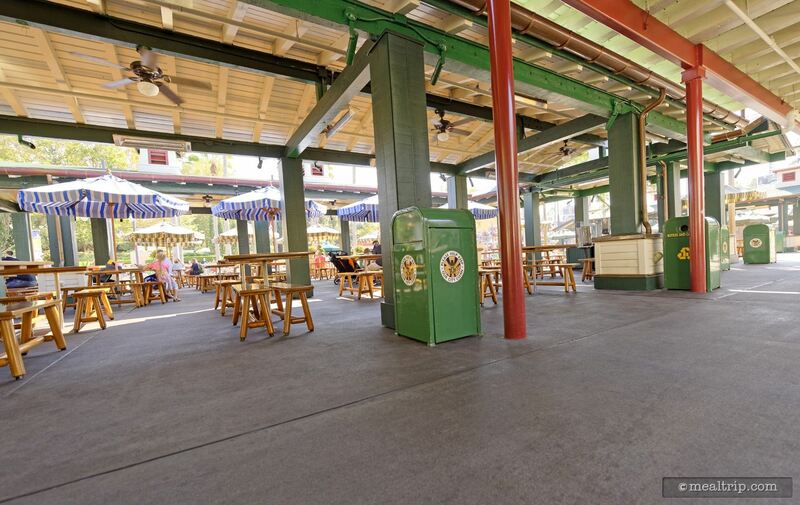 The seating in this area is for multiple locations. Most is fully covered seating. 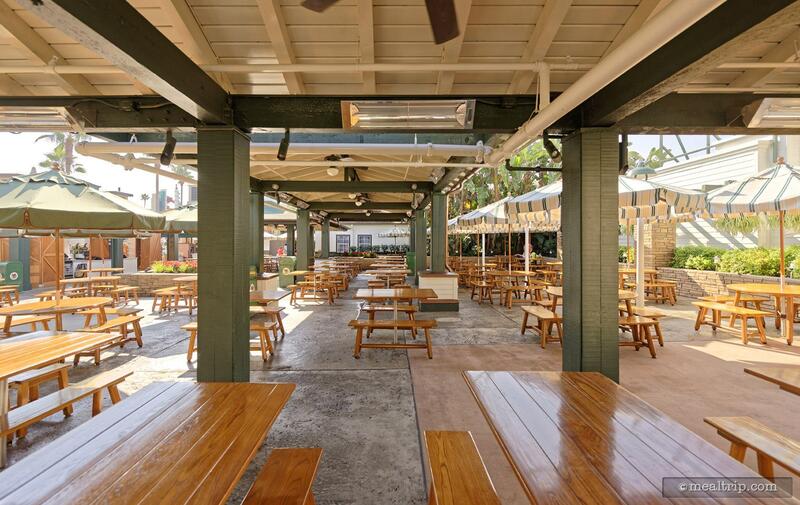 The seating for Catalina Eddie's is "food court" style, so there's no dedicated section for this location. You can pretty much sit where there's a free spot.